Having firmly established itself as an eco-friendly event planning firm, Talen Events wanted to reposition itself as offering more than just event planning services; they wanted people to consider them as event architects, professionals who could create an event from concept to execution the way an architect does a building. Talen also wanted the focus to be less on their eco-friendly products and processes (though these are still part of the package) and more on the events themselves. 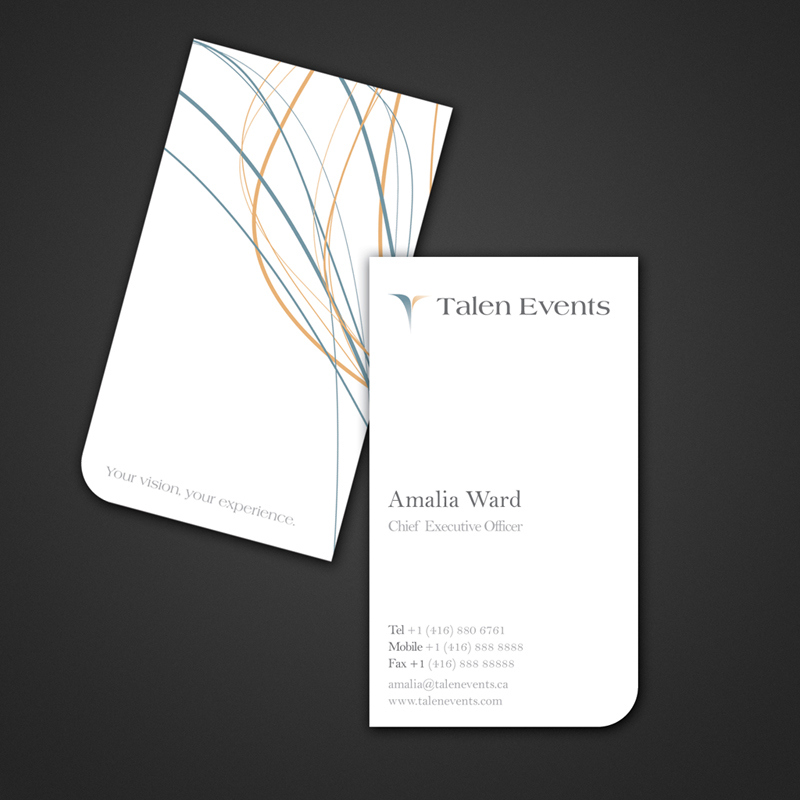 To re-brand and reposition Talen Events as a full-service event architecture firm for corporate events as well as weddings and parties. A simple but elegant new signature (brandmark & logotype) and a variety of touchpoints (business cards, coupons, and advertising collateral) to give the company a more corporate feel and command more presence in the marketplace. 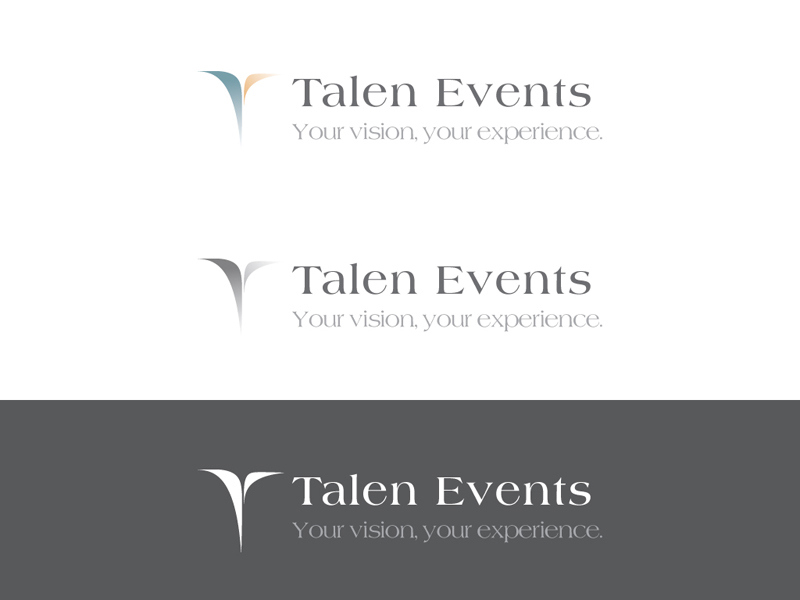 Official signature of Talen Events in full-coloured, grey-scaled, and high-contrast versions. Official business card design. Front and back. The new design for the official site allows the company to communicate with a much more engaging language to broader audiences, especially to the corporate event seekers. It features recent headlines, providing a brief intro to its company core values, as well as giving most updated social feeds. 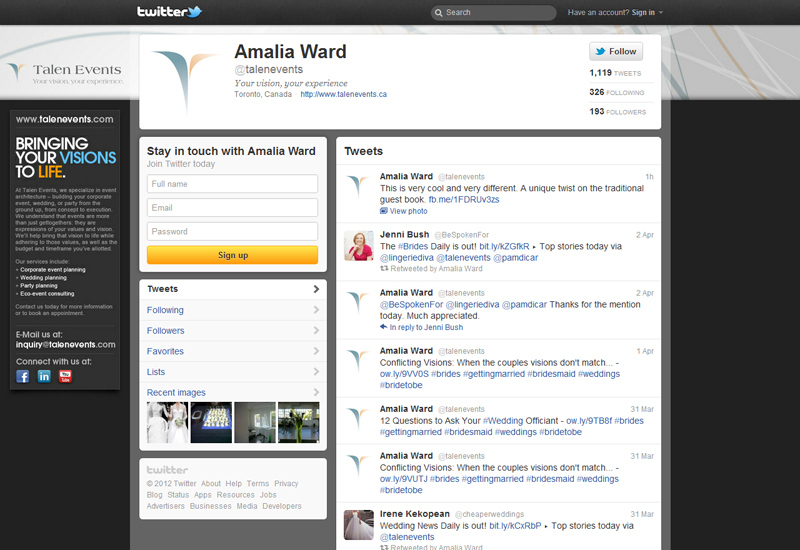 A blog and an e-newsletter allow the company's owner, Amalia Ward, to share her expertise and establish the company as a leader in the field, while other social media components ( Facebook, Twitter, and YouTube), encourage potential clients to interact with Amalia and give them a sense of her personality. 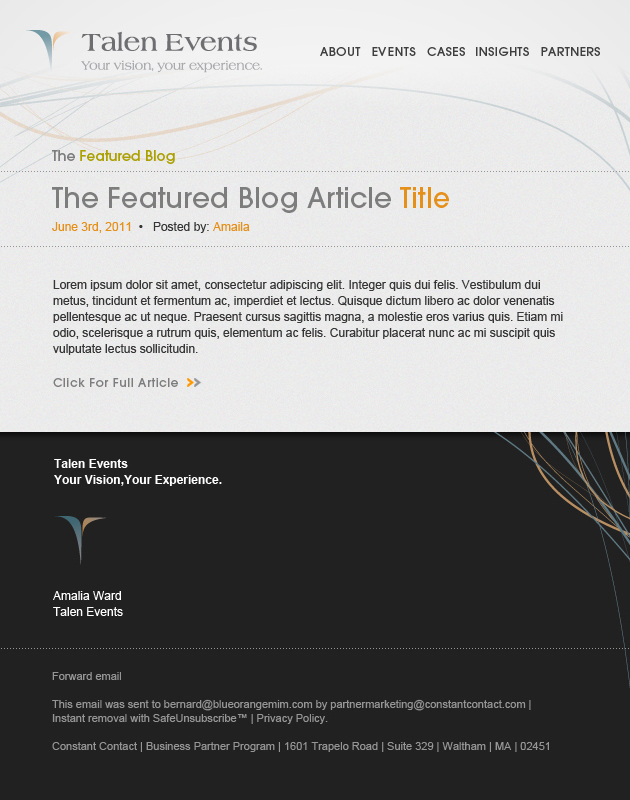 Official website Home page design. Wedding page design under Events, with explanation as well as videos to better engage the audiences. Official company Twitter page with the custom background design. E-Newsletter for recent blog entry. Professional videos complete the site and lend the air of authority and professionalism that balances the more personal touches. 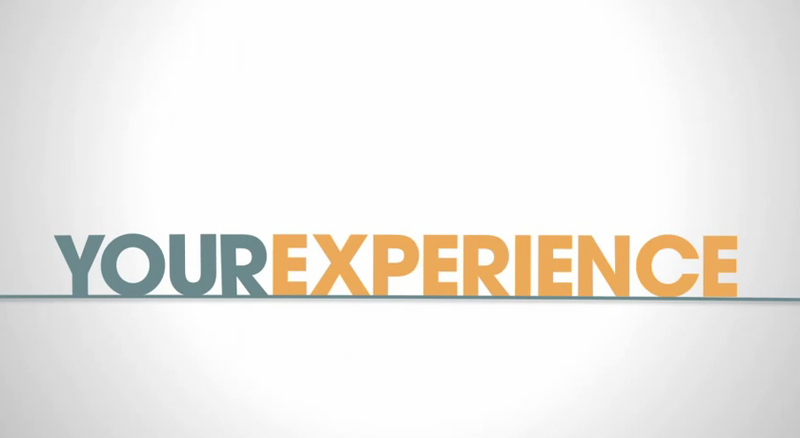 Screen: Talen Events signature animation. 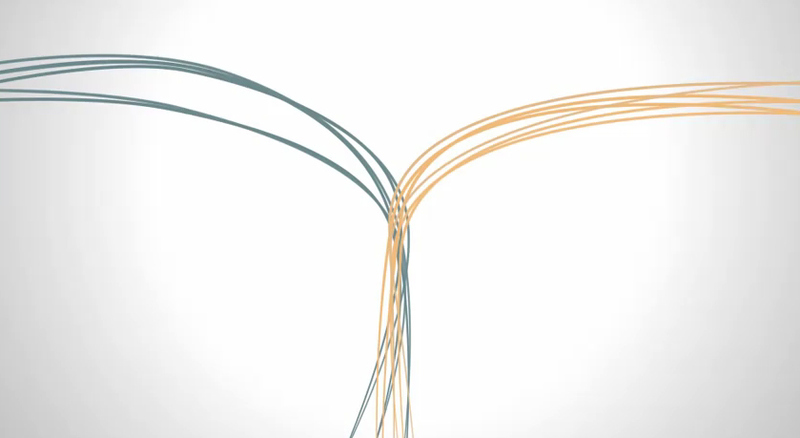 Video: Talen Events signature animation. 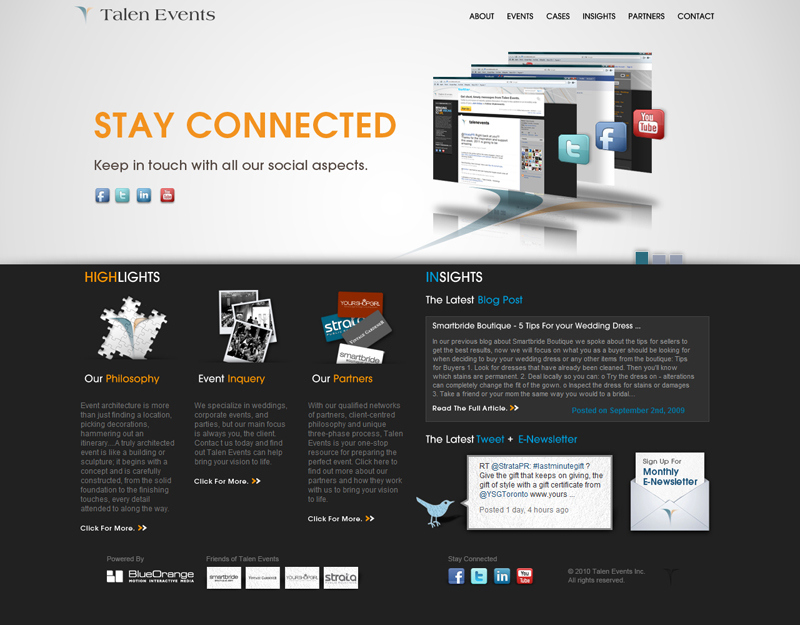 Screen: Talen Events "Our Philosophy". 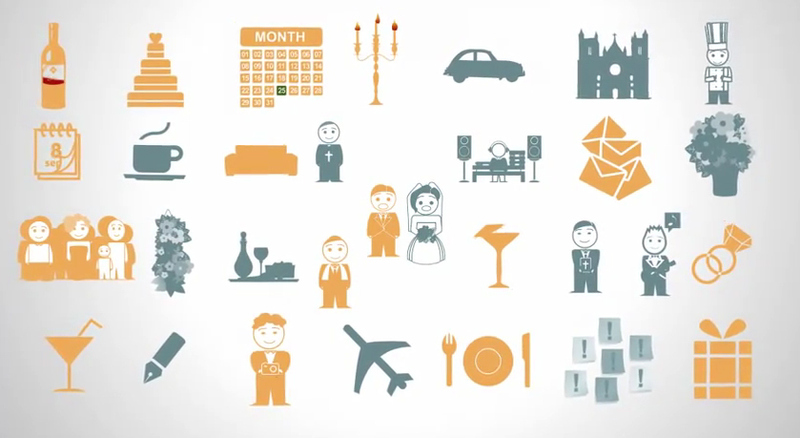 Video: Talen Events "Our Philosophy". 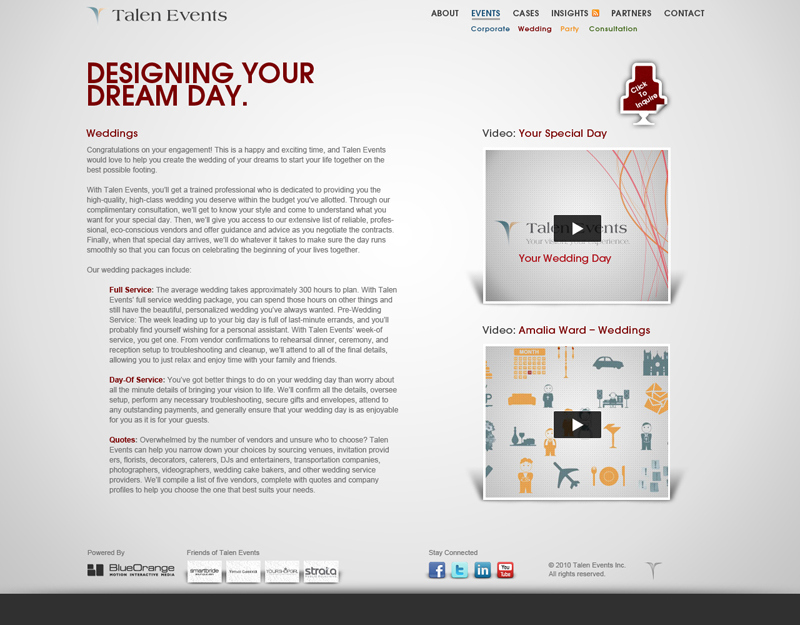 Screen: Talen Events "Wedding Services".